Manafort Has Plea Deal, ABC Says, But Will He Turn on Trump? 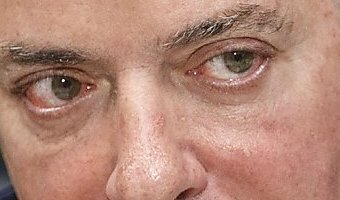 David Voreacos, Bloomberg Published 3:53 pm PDT, Thursday, September 13, 2018 Paul Manafort speaks during a Bloomberg Television interview at the Republican National Convention in Cleveland on July 18, 2016. Paul Manafort speaks during a Bloomberg Television interview at the Republican National Convention in Cleveland on July 18, 2016. Photo: Patrick T. Fallon, TNS In this May 23, 2018, file photo, Paul Manafort, President Donald Trump's former campaign chairman, leaves the Federal District Court after a hearing, in Washington. A federal judge in Washington has denied Paul Manafort's request to move his second trial from the District of Columbia. U.S. District Judge Amy Berman Jackson says Manafort hasn't shown that he couldn't pick an impartial jury in the District of Columbia due to pre-trail publicity. (AP Photo/Jose Luis Magana, File) less In this May 23, 2018, file photo, Paul Manafort, … [Read more...] about Manafort Has Plea Deal, ABC Says, But Will He Turn on Trump?